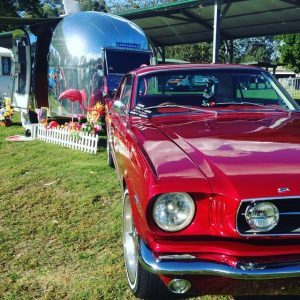 Retro/Vintage Caravans – we want you at the 10th Annual Gold Coast Car Show! If you have a restored Vintage Caravan or Retro Pod, we invite you to display and camp all weekend for a fraction of the General Admission price. 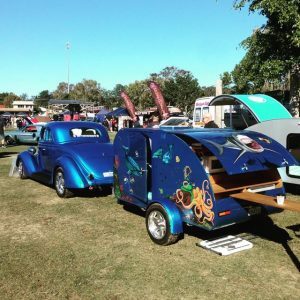 A massive weekend with EVERYTHING on WHEELS from Cars, Trucks, Bikes & Caravans! Power is limited and is on a first in basis. BUMP IN FRIDAY 9th Aug anytime from 9am-5pm. BUMP IN SATURDAY 10th Aug strictly 7am-8am ONLY! Bookings are essential. Show gates are open to the public from 10am. 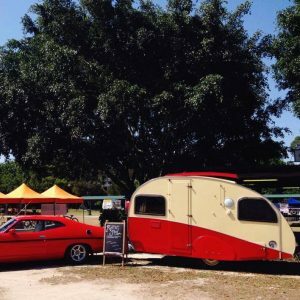 Walk down memory lane to the 50’s-70s era of Retro Cars & Caravans. Get your dancing shoes on the dance floor and be entertained by “Little Stevie and the Tail Fins” centre stage. Dance Clubs, Rock & Roll dance-off competition and trophy awards. Don’t miss the Monster Trucks and Fireworks on Saturday only. A BIG day with everything on wheels from Show Cars, Trucks, Bikes and more. Local covers band “Fat Albert” playing centre stage! Mechanical Bull Bucking competition at the Bar. Show Cars – pay $20 at the gate – includes all passengers. 83 Trophies up for grabs so get your pride and joy ready! All weekend enjoy – Trade industry, market stalls, food stalls, licensed bar, demonstrations, live entertainment and kids carnival rides.